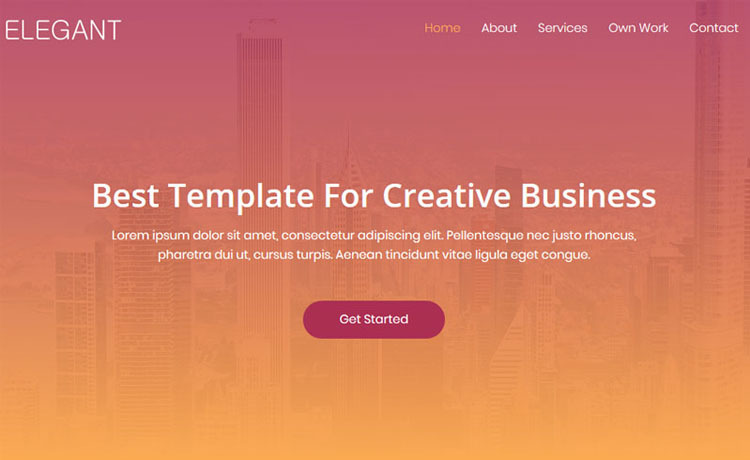 Elegant is a free Bootstrap 4 HTML5 creative business agency website template. It's an one page template. Animated sticky navigation with scroll spy, call to action buttons, on-hover effects are some handy options. 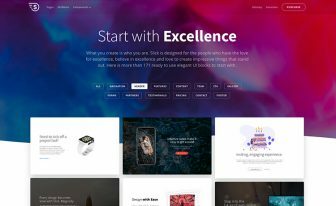 Elegant is a free Bootstrap 4 HTML5 creative business agency website template. 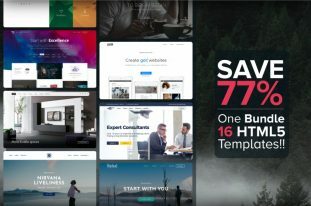 It’s a one-page tool with seven unique layouts. You are getting some trendy features to build your creative business agency website faster with Elegant. Animated sticky navigation with scroll spy, call to action buttons, on-hover effects are some of them. Apart from that, It has a nice gradient overlay on the header with a fixed background image. Elegant also has beautiful typography and fonts like Google font and FontAwesome. Not finished yet! A working contact form with HTML5 validation is also included in the box, HURRAY!! 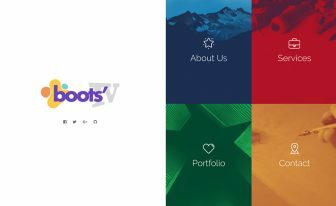 Latest features like the interactively animated portfolio grid and testimonial carousel come with Elegant. It is based on Bootstrap 4, so, you are getting a fully responsive tool. 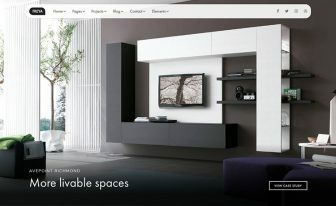 Because of its well-structured code, it is also easy to customize template. It is specially designed for business consultants as well as niches like design agency, small organizations, etc. Cheers!! Have freedom of creating your project with Elegant. Thank you for your downloading Elegant. 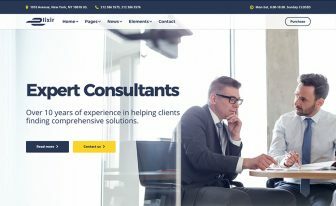 Here are three recommended free Bootstrap 4 HTML5 creative business agency website templates.